Sung-In Shin, President & CEO of KPR & Associates, Inc., Seoul, South Korea will chair the final judging committee for the Company/Organization categories of The 2011 International Business Awards. What are your top tips for companies wishing to promote their products or services in Korea? My first tip is this: Korea is often described as a unique market for new entrants. The most important step is for companies to do their homework thoroughly. Extensive market research and analysis of the local business environment, including potential competitors, is essential to preparing strategies and plans that can succeed here. The next step is to identify your target audience clearly and segment it appropriately to deliver the most compelling messages through the most efficient channels. Finally, communication with the market must be sustained continuously, not just at irregular times like for new product/service launches. Here's my second tip: Companies that want to succeed in Korea must clearly differentiate their products or services from competitors. Without sharp differentiation, it is easy for a service or product to be passed over. Consumers gravitate toward a brand that captures the imagination with a distinctive selling point. Finally, this point: New entrants in the market must leverage local experts­ in areas such as legal, accounting, public relations, and advertising. In addition to the language issue, there are many complex factors in the Korean market that require thorough understanding and consultation. The Korea-EU Free Trade Agreement (FTA) went into effect on July 1. This will boost bilateral business exchanges and economic expansion. I hope that it will also speed ratification of the Korea-US FTA, which is awaiting a vote in the respective national legislatures. I frequently use major news media apps to stay up to date on the latest domestic and international news related to our business and that of our clients, as well as to gain insights for business conversation. When I was at university, my parents and professors wanted me to pursue a career in education. This would appeal to me as an alternate profession as I enjoy sharing my knowledge and experience with the younger generation, who will be the future leaders of our society. I value integrity and trust, open communication, selflessness, a challenging spirit, and a value-added service attitude. I believe professionals with these characteristics are more likely to be successful. I think that lack of initiative is the worst trait to have, followed by a negative attitude and having a litany of excuses. I firmly believe that a positive attitude is essential, especially in a client-service business. I like to view every day as a gift, and it is up to me to make the most of that gift. I also look at complaints and criticisms as opportunities for me to improve. When encountering difficulties, I think back to the rigorous military training that I experienced in my youth and reflect that the current situation is not nearly as challenging as that in which I succeeded in the past. Sung-In joined KPR in 1996 as a partner and executive vice president, and subsequently became president & CEO in 1999. He has since led the company to record outstanding business performance and has himself gained widespread recognition as a leader of the public relations industry in Korea. Under his guidance, KPR has won numerous international and domestic awards for excellence, starting with the International Public Relations Association (IPRA) Golden World Award in 2003; Asia-Pacific awards for brand marketing effectiveness and public relations in 2004, 2005, and 2008; and a Gold Prize in the Mercury Excellence Awards in 2010/2011. KPR was named the PR Agency of the Year in Asia (Korea) at the 2010 International Business Awards and the Korean Consultancy of the Year 2011 by The Holmes Report. Sung-In was selected as Korea’s PR Company CEO of the Year in 2009 by the Practical Science Forum of Advertising and Public Relations. 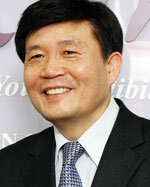 Prior to joining KPR, Sung-In was a founding member of Communications Korea and served as that company’s planning director from 1987 to 1995. Following his discharge as an officer in the Republic of Korea Marine Corps in 1980, Sung-In joined the Overseas Business Development Division of Hyundai Engineering & Construction Co., Ltd., where he also worked in Malaysia as a project coordinator until 1987. Sung-In has served two terms (2004 and 2008) as president of the Korea PR Consultancy Association (KPRCA) and has been an adjunct professor teaching PR and advertising at Hanshin University since 2000. He is married and has one daughter. He enjoys hiking and reading in his spare time. Established in 1989, KPR & Associates is one of the most experienced public relations firms in the Korean market, and with 110 full-time professionals it is also one of the largest. It is differentiated from the majority of its local competitors (including the Korean offices of many multinational PR firms) by the full range of services it can offer, which include consumer and sports marketing, events and promotions, digital and online marketing, corporate and financial public relations, and issues and crisis management, as well as expertise in information technology, healthcare, corporate social responsibility, and the public sector. KPR positions itself as the leading provider of comprehensive, effective, and dependable solutions for clients' communication needs. Its client list features many renowned multinational brands as well as major domestic enterprises and organizations. KPR also gives back to the community by organizing an annual collegiate PR ideas contest to help develop the domestic PR industry, and the company provides internships for deserving university students. What do you think of Mr. Shin's tips? Has your organization succeeded in cracking Asian markets?